Looking for pizza delivery in North York, Ontario? You’re in luck! Domino’s offers both carryout and delivery options. Conveniently located at the intersection of Sheppard Avenue and Wilmington Avenue, Domino’s is never far away! Stop by for a custom made pizza to enjoy for lunch at nearby Earl Bales Park, or order pizza delivery to your home after spending the evening running errands. 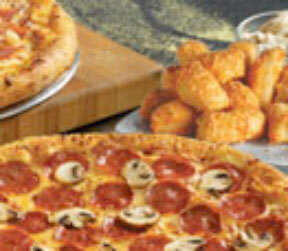 No matter what the occasion is, Domino’s can help provide you and your family with a delicious, hassle-free meal! Domino’s is proud to serve the York University community!